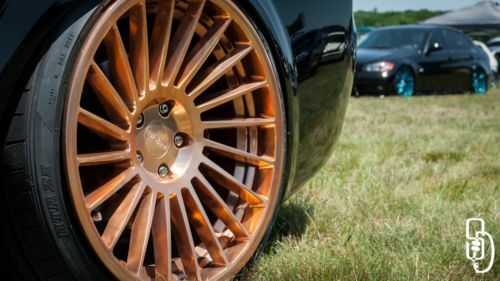 These wheels have a polished copper custom finish with clear coat. I had the wheels on my 2005 Audi S4 for the spring and summer season putting 5,000 miles or less on them. They are in great condition still with a few minor flaws which I have posted pictures of. One wheel has a small nick on the outer lip from the tires being mounted. Then the two wheels I had on the rear have some scraping to the inner lip of the wheels from rubbing my strut guards. My car is lowered to the ground and with this aggressive fitment I added 5mm spacers to keep this from happening more. The last 2 pictures I posted show both of these flaws. I can provide more pictures upon request. The current tires on the wheels are Nankang NS-20 225/35/19. They are rather worn on the inside because of my excessive camber and bad alignment. 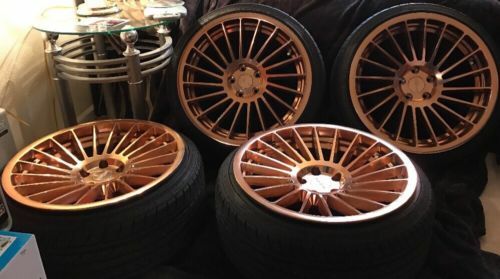 I will be removing the tires for sale unless someone close by buys the wheels and can pick them up. Leaving the tires on will inflate shipping costs. With the condition the tires are in, it's not worth the extra money. Plus they are cheap tires to begin with. I would recommend getting the wheels balanced after tires are mounted. 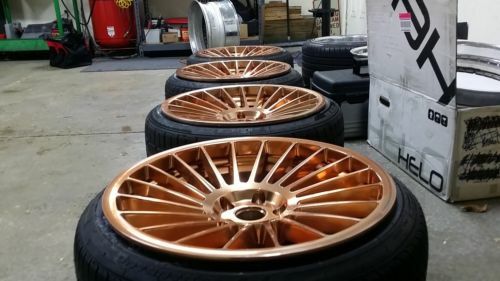 I am going to cross list these wheels on vwvortex, audizine, stance works and instagram. 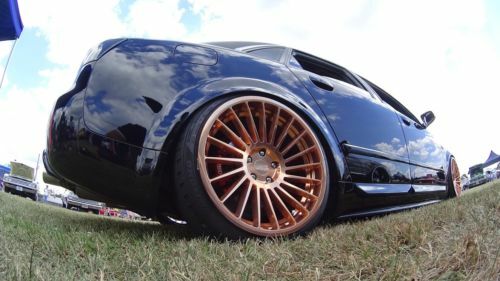 These wheels cost me $1900 plus shipping brand new on year ago. I am willing to include the 66.5 to 57.1 hub rings I used for free. Because they are used and have a couple flaws, I will start the price off at $1500 with or without the tires. I have no real wiggle room in the price through ebay. Together eBay and PayPal charge 10% in fees. So I loose $150 just to fees and another $150-$200 to shipping costs. If someone is interested in going straight through PayPal, I may be able to drop the price down to $1400. They will ship UPS or FedEx depending on the location of the buyer and whether the buyer wishes to keep the tires on or take them off. If you would like more information, pictures of fitment questions just let me know and I'd be glad to assist you to the best of my ability.